10 Best Things To Do in Kamakura – The Home of The Great Buddha! 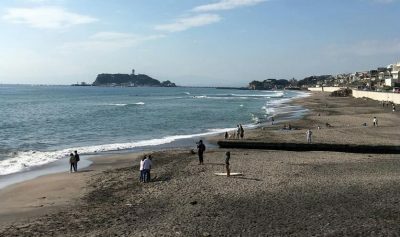 Kamakura is a city in Kanagawa Prefecture that is considered to be a coastal area. It has some similar famous tourist sites to the ones in Kyoto (western part). Although it is said to be a small city, you can still find a lot of interesting and historical places that you can enjoy. 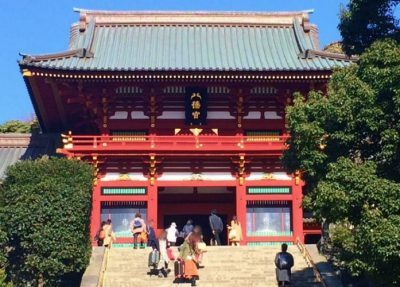 Here are the list of the best things that you can do in Kamakura. 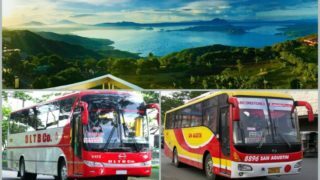 With these destinations and activities, it’ll surely give you an unforgettable experience on your Kamakura trip! Temples are truly massive here in Japan. 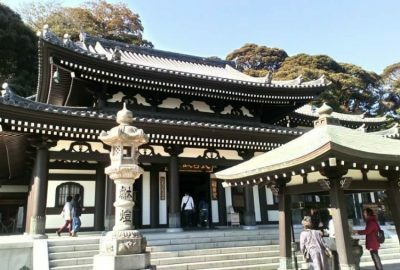 In Kamakura city, you’ll find these temples listed below that hold different stories of the past. The statue is absolutely beautiful and the grounds so serene. 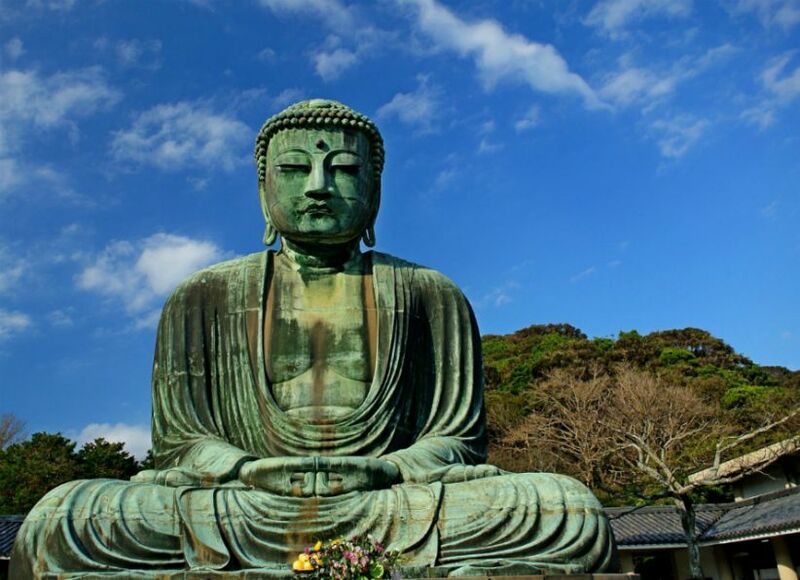 Although it is the second largest Buddha statue in Japan, it is the largest outdoor Bronze Buddha Statue. The Great Buddha was originally housed in a temple, however the temple was destroyed in a tsunami in the 1500s. If you would like to explore the inside of the statue there is a narrow staircase of no more than 10 steps to climb to be be inside. The entrance cost is ¥200 and for an additional ¥20 at the rear base of the Buddha, you can go inside the brass statue. 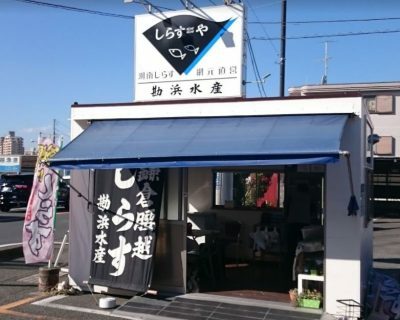 The location is just a 10-minute walk from Hase station. Hokokuji is a Zen Buddhist temple famous for its bamboo garden, giving it the nickname of Take-dera, or “Bamboo Temple.” It was founded in 1334, when Kamakura was still the political center of Japan, centuries before Kyoto became its capital. 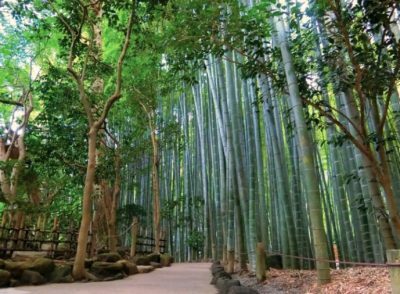 This is like Arashiyama, the famous bamboo forest of Kyoto. It’s is really peaceful and calming inside. 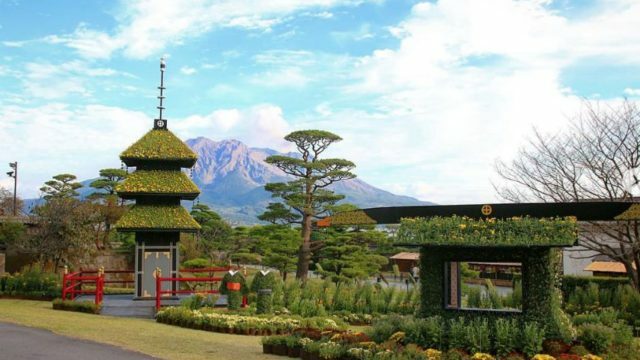 There’s plenty of Japanese garden, lake with koi fishes, temples and greenery for relaxation. The temple can be reached by foot (40 minutes walk) or a short bus ride from Kamakura Station which cost ¥200 one way. It took about 10 minutes to reach Jomyoji bus stop and from here is another 5 minutes walk to the temple. Hasedera is built along the slope of a wooded hill. The temple’s main buildings stand halfway up the slope on a terrace which allows for nice views of the coastal city of Kamakura. There is also a small restaurant where Japanese sweets, meals and beverages are served. Along the stairs leading up the slope stands the Jizo-do Hall with hundreds of small statues of the Jizo Bodhisattva who helps the souls of deceased children to reach paradise. The temple entrance is located at the base of the slope. A pretty garden with ponds welcomes visitors as they enter the grounds. 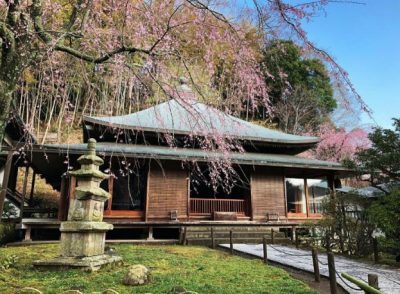 A small temple hall in the garden is dedicated to Benten (also known as Benzaiten), a goddess of feminine beauty and wealth. Sculptures of Benten and other gods can be found in a small cave (Benten-kutsu) next to the hall. Meigetsu-in Temple is known for its hydrangeas, so it is, of course, very crowded when they are in bloom. It’s easy to reach the temple from the JR Kita-Kamakura station. Hydrangea is every where in Kamakura in June, it’s like a classical garden in the temple. There is a teahouse near the gate which serves tea and traditional Japanese sweets. 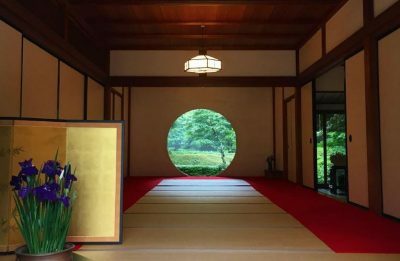 In the main hall is a much-photographed circular window that frames the irises garden in spring and summer and the Japanese maple trees with their brilliant red foliage in autumn. For nature lovers, the temple grounds are home to a colony of free-roaming squirrels, along with a couple of snow-white bunnies, fed and cared for by the temple staff. but it is worth the stop. There are some visitors but not like the mobs of tourists around the Big Buddha in Kamakura. This zen complex is much more tranquil. As it should be. Check out the Ogane, a great bell cast in 1301. The bell itself is not much a scene but the adjoining teahouse is a real gem. Nice views, delicious food, reasonably priced. You hardly walk for two minutes from Kita Kamakura station to reach the temple. If you are on a one day trip to Kamakura, it’s good to start from here. This is the oldest temple in Kamakura but it is still very much a working temple, not a museum piece. There are many Japanese people come here to worship as well as tourists. It is in a very dramatic setting on a steep hillside, and this gives it wonderful views. The old moss-covered steps are beautiful and photogenic but not safe to use. A lovely old holy place. This temple itself is a good 20-minute walk from Kamakura station. Not very easily accessible as it requires scaling a number of steep steps, you will be rewarded once you get to the top and traverse left or right with great views of the city. The view is the reason for coming! It is about 5-10 minutes walk from Kita Kamakura station. There is a sign in English at the street entrance . A local artisan food & craft fair is held at the entrance on the last weekend in April & October. It might be worth checking Internet announcements to get the date. Shrines can also be found almost everywhere. 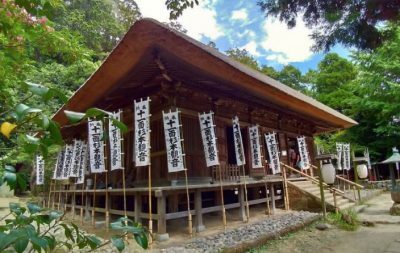 If you want to experience how it is like to pray in what the local people considered to be spiritual, then take time to visit these places below. The shrine is at the geographical and cultural center of the city of Kamakura. 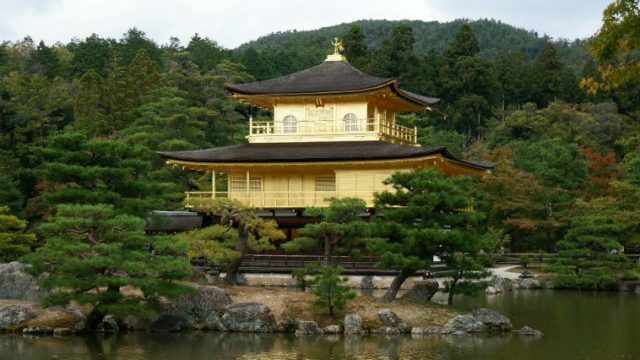 This shrine was built in 1063 and have 1000 years old ginko trees. 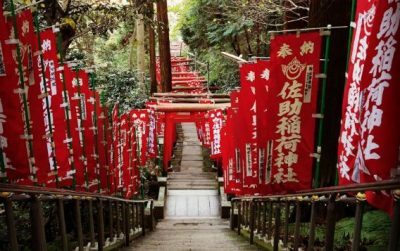 There are many steps to climb to get up to the shrine itself. 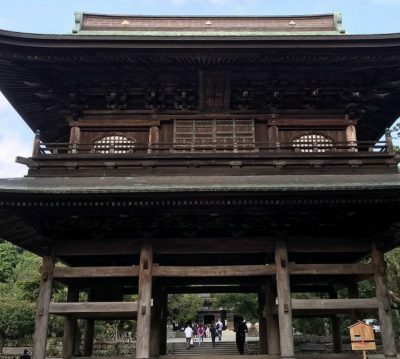 It is connected with a number of historical events associated with the Samurai and Shogun- both paths crossed each other many times. 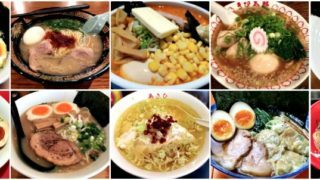 It’s a walking distance from Kamakura station. 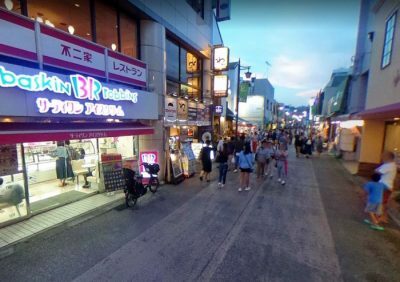 Probably you take Komachi street to Hachimangu where you find lots of shops and restaurants. After climbing up to the main shrine, you can see the sea; but you shouldn’t forget to pray. There is a cafeteria place where you can fill your needs. This Shinto shrine is hidden and interesting. Inside you can proceed with the ritual of washing some money, with the hope of it multiplying. The cave where the spring (where you wash your money) is interesting, and for 100 yens you can get a full set for the ritual. This shrine is in the hills, about 20min walk from Kamakura station. 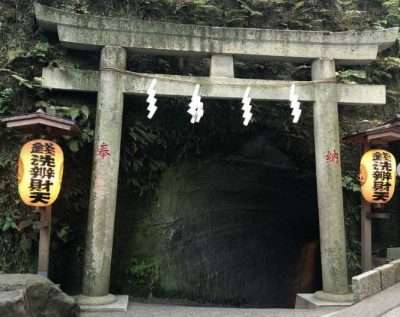 It’s really worth a visit, as you have to walk through a tunnel in the rock to visit it and it’s awe-inspiring that the first shogun had it constructed so long ago. This shrine is off the beaten path. There were more locals than tourists in the area, and it was not at all crowded. The path of tori gates is neat as well as all the foxes left behind. It is a winding road through town and you may have to stop and ask for directions, but once you reach the wooded entrance it is as though you have entered a mysterious and sacred place. The red flags and pairs of white fox statues are weathered and many are covered with moss. This place is famous for rice crackers freshly made at the shop so make sure to check some of it. Since this is a famous shopt, expect it to be overcrowded every single day. The taste is often described as very tasty since it’s freshly made. 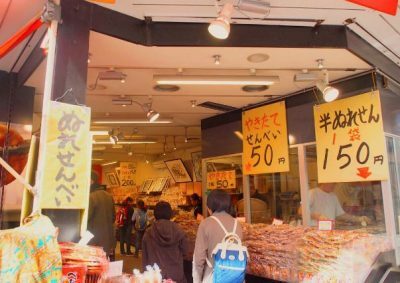 It is such a fun place to shop for souvenirs and to eat different types of rice cakes. Sembei is just one of the other popular products that you can find here. It is a four-story building on the eastern side of Wakamiya Odori. 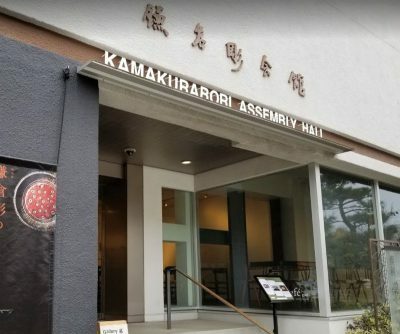 It is next to the south of the Catholic Yukinoji Church.There are about 70 Kamakura sculptures from the Muromachi period up to the present time that are exhibited in the museum.Video screenings that demonstrate history and production are also available. 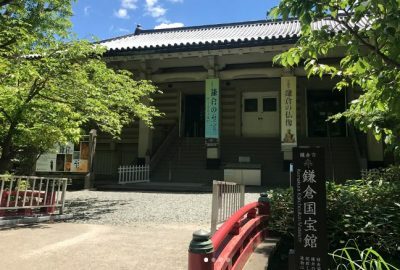 A small museum in the Hachiman-gu grounds, focussing on Kamakura period items relocated from local Buddhist temples. About half the exhibits are wooden sculptures, but there are also paintings and industrial art objects. The Kamakura period features highly realistic wood carved sculptures that are as expressive and artistic as those done in Europe. Especially memorable are the 12 generals guarding Buddha and attendants. There’s an English brochure and some 1-liners – enough for the level of information I needed. 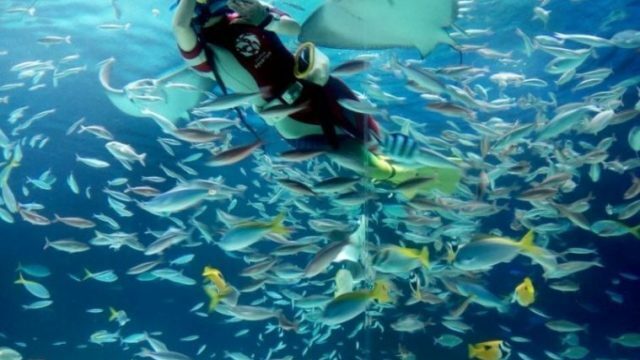 It’s a cool haven from the heat & crowds outside – definitely worth the ¥400 entrance fee. This street is just past the station and the tourist information office where you can pick up a map of the city. The street has sit down restaurants, kiosks, desserts (Baskin Robbins is air conditioned), beer, souvenirs, and men dressed in funky socks that are willing to pull you uphill to a temple in a rickshaw! It is a fun walk as it is all pedestrian, although crowded. Interesting people and maybe some entertainment along the way. Most things are reasonable, it is not a rip off street. Charming place with extensive choice of shirasu-based dishes plus some interesting appetizers and fresh sashimi. Nice nihonshu. Unpretentious, off the beaten track, definitely better than the tourist eateries on Enoshima. They have an English menu which comes super handy even though it doesnt include all the specials. This is indeed a highly recommended place when you visit Kamakura so don’t ever thing of skipping it out. This Rental place is conveniently placed directly besides the station. The rental is easy and no deposit is required. The provided map does not show all the small roads, but will help you a lot in finding the temples and shrines. 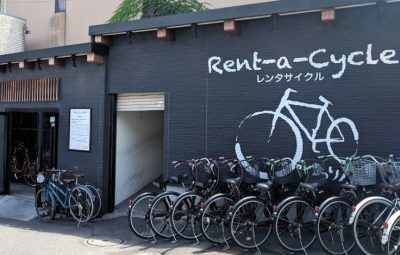 Cycling in Japan is an experience on itself. Bicycles and Pedestrians are together on the pavement and have no separated areas. So both parties just have to get along 🙂 I don’t know if bicycles are allowed on the road, but one sees them occasionally on the road with the cars. Go down to the beach, drop your shoes&socks and stay in the shallow water for a few waves, very relaxing and just the treatment you feet deserve after a day of visiting. Don’t worry about the sand, not much will get on you and there is a small channel made of concrete on which you can stand, clean you feet of sand and wait for them to dry, continue visiting. Genjiyama Park is a public park that was built in 1965. The park is a great place to visit in spring, and autumn seasons. 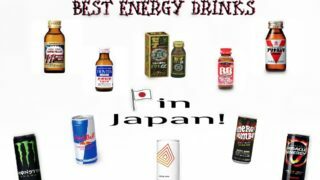 It’s location is about 20 minutes by walk from JR Kamakura Station. Thre’s no need to pay any entrance fee so you can take long walks without paying anything here. 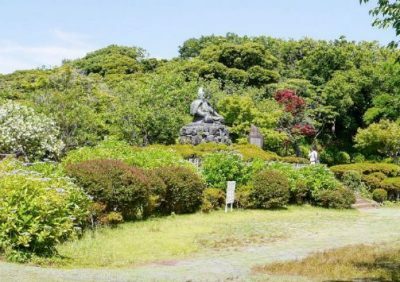 There’s also an interesting statue(or tomb) called Minamoto no Yoritomo – the founder and the very first shogun(military dictator) of the kamakura shogunate. 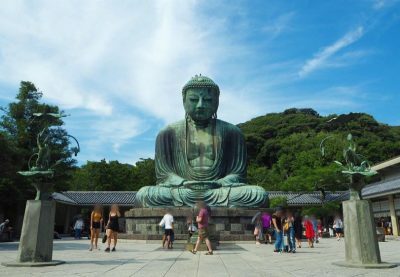 10 Best Things To Do in Kamakura - The Home of The Great Buddha!